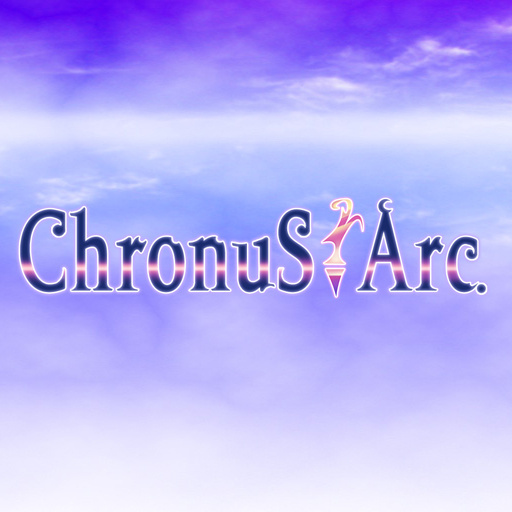 Chronus Arc hearkens back to the JRPGs of the Super Nintendo era, or at least it tries to. 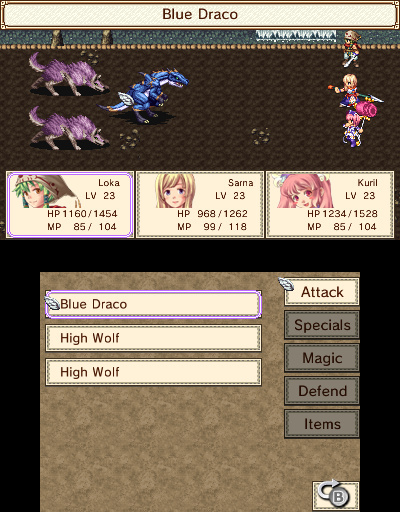 Kemco's 3DS port of its 2013 RPG has some interesting ideas but, sadly, they don't fit the overall experience particularly well. The story of Chronus Arc starts off interestingly enough: as the Time Rewinding approaches, a ritual during which the world is essentially overwritten to how it was ten years prior, the necessary artefact - the Chronus Fragment - has been stolen and must be retrieved. You're in control of Loka, a sorcerer knight who's on the verge of his graduation when these events occur. Of course, Loka and his childhood friend, the Princess, set out on a quest to make things right. Other games have told variations of this story before, only they've managed to make it more interesting; sadly Chronus Arc's story and characters fail to be truly interesting or engaging. 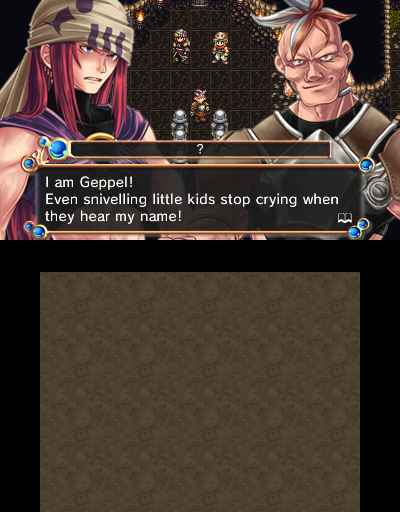 This is only compounded by some strange localization choices on Kemco's part - most of the dialogue comes off as stiff and almost robotic. Mechanically Chronus Arc is mostly sound. All the pieces you would expect of a '90s-era RPG are present. There's an overworld map dotted with little towns and places to explore, you have an experience point-based leveling system, with skills that unlock at various intervals, and you have your standard inns and blacksmiths and the like as well. One place in which Chronus Arc does stray from the beaten path is in that rather than simply finding or buying better equipment you must instead improve your characters' base items through the use of boost manuals. Boost manuals are given to you in just about every location by a strange fellow you'll find lurking around. With these manuals in hand you'll be able to upgrade your gear provided you have the right ingredients; sadly, there's no way to tell where to go to find those materials short of exploring, experimenting and hoping for the best. Perhaps one of the better ways in which Chronus Arc differs from its old-school cousins is that it offers a fast travel system. Fast travel has only become popular relatively recently in RPGs, and was practically unheard of in the 16-bit days. In addition to fast travel pressing the R button at any time in any dungeon will allow you to exit back to the world map, regardless of whether or not you've completed it before. On paper both of these options seem like good ideas - however, in practice, they sap the challenge from the game by removing any kind of risk, as you can simply warp out of any sticky situation you're in, then teleport to the next town and heal. You can always resist the urge to do this if you want a tougher challenge. Each of Chronus Arc's various dungeons carries a heavy focus on puzzles as well, but sadly these aren't quite Legend of Zelda caliber. Every puzzle we encountered was a variation of pushing a box or dropping a pot onto a switch. The game packs the helpful option of pressing start to reset any puzzles, but it's seldom necessary as exiting the room will have the same effect. Visually, Chronus Arc resembles an early '90s RPG, though its sprites and maps look a bit worse than genre staples like Chrono Trigger. 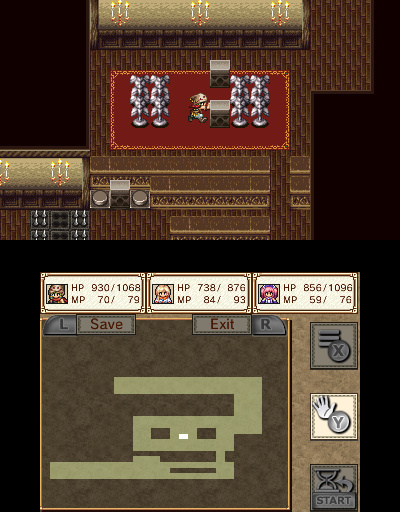 Chronus Arc also borrows a page from Chrono Trigger's playbook in that enemies inside dungeons are visible on the map, though they only move when your party does, albeit in a seemingly random pattern. Character art is fairly well done, though there are too few images of each character, with subtle variations in the same drawing used throughout the entirety of the game. Unfortunately, Chronus Arc's soundtrack doesn't fair much better. As background music it's serviceable, but it won't stick in your head after your 3DS is back on its charger. 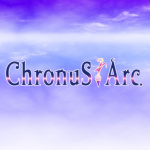 Chronus Arc is mechanically sound, but it does the bare minimum of what is expected from its genre, only tempered by a relatively affordable price tag. A lack of a new game plus feature and an uninteresting story make a great case for those that feel RPGs are about more than just gameplay. In spite of its lack of technical flaws, Chronus Arc just doesn't seize the imagination. 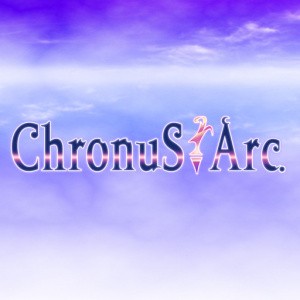 Chronus Arc is competent RPG that fails to deliver on one of the most important aspects of the genre: the story. It delivers an uninspiring narrative, coupled with a forgettable soundtrack and fast travel and escape mechanics that, while solid, rob the game of any sense of difficulty. If you're looking purely for old-school RPG mechanics, you may have some fun with Chronus Arc. 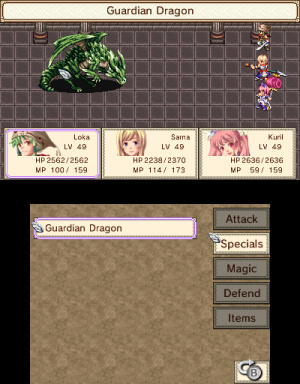 Otherwise, you may want to look to another one of the many great RPGs the 3DS has to offer. A little bit disappointing, considering the only "traditional" RPG on the 3DS is Bravely Default. At least 3ds is getting games. Not necessarily saying this one is wrong, but it seems curious that none of the staff here seem to particularly enjoy roleplaying games. @Neko_Rukiafan Just to mention one, the recently released Devil Survivor 2 Record Breaker got a 9/10. As for eShop games, Dragon Fantasy: The Volumes of Westeria got an 8/10. Also fairly recent. The list could go on forever, so... no, I don't think anyone who's been reading this site will have ''noticed'' that. @Neko_Rukiafan Whoa, whoa, whoa! I absolutely love RPGs, but this one is middling at best. In fact I've got a few RPGs in my top 10 games of all time. The Phantasy Star series (pre-Online) changed my life. @Neko_Rukiafan Probably because some of these are mediocre to them? I got this game but I don't think it's worth a 5/10, a 7/10 would be better. Change the title to Final Fantasy: Chronus Arc and you get a 9/10. @Neko_Rukiafan Yeah, I've certainly notice that trend, and it does saddens me a bit as a fan of the genre. They gave a mediocre score to Costume Quest 2, for example, which I thought was great. Oh well, personal opinions. Nope Nope nope! This is an excellent game. It's not ground breaking or anything but it is a solid RPG with a decent story. I wouldn't even call it uninspiring . if that was the case every RPG has an uninspiring storyline. Anyway in my book this game gets a 7. I might even go 7.5. It has some unique features such as a unique mining/crafting system to upgrade your equipment. You can speed up your battles once you get used to the battles. This game is decent. Don't let this average review fool you. Heck wait for a sale then you can't lose. But I've never seen Kemco offer any sales on any of the Nintendo shops. If you look at the people who bought the game and responded to this. They agree. The review is not kind. I won't say its wrong everyone is entitled to their opinion. The fact that Kemco continues to exist in 2015, and appears to be pumping out games are an extraordinary rate (on Mobile), never ceases to amaze me. Where's the resident Atlus reviewer when you need him lol. @Zipmon knows a thing or 10 about rpg's. From what i can tell quite a few rpg's on this sight have rated well and very well at that. Problem is there's just too many as of late that all resemble each other and it's getting harder to tell whats good anymore. Well a 5/10 JRPG is like a 7/10 for any other genre. ...Actually, I take that back. (I just watched the trailer... shudder). Nice conspiracy you're cobbling together there. Ugh, I guess this game will be a pass for me. It's impossible for me to get into an rpg that has a bad story. I'm still up in the air. If I'm bored and want a RPG, I will get it. I'm going to check a few more reviews. That being said, I have gotten burn with a few RPGs in the last couple of years. So I would take this review to heart. @Dezzy It was quite a while ago, but don't forget about "Unchained Blades" (8/10), not to mention "Pokémon X/Y/OR/AS" (all 9/10). @BulbasaurusRex Oh c'mon you're not seriously counting pokemon as a traditional JRPG. @TeeJay Well, the recruiting mechanic is a little nontraditional (although certainly not unique to the franchise), but otherwise why not? The core gameplay itself hits most of the traditional JRPG tropes. It's just more kid friendly than most.